I look at hair as a canvas. As a kid, when Sammi’s dad was on hair duty, everything was a fiasco. She quickly learned to pull a look together – all on her own. Right about this time, her favorite cousin was a tomboy, that didn’t brush her hair. Sammi couldn’t tolerate that, so she started doing makeovers at the age of nine. She realized right then and there what she wanted to be when she grew up. Well, she’s all grown up now, finished beauty school and completed her associate program with level 4AA stylist, Carrie Caver. She’s one of the newer faces to the family, but is already raving about the SAS teamwork, camaraderie and support system. She claims she doesn’t have an athletic bone in her body, but she is a beginner yogi (she’s been doing it a year), and finds tranquility and balance in it. She enjoys being outdoors and hiking. 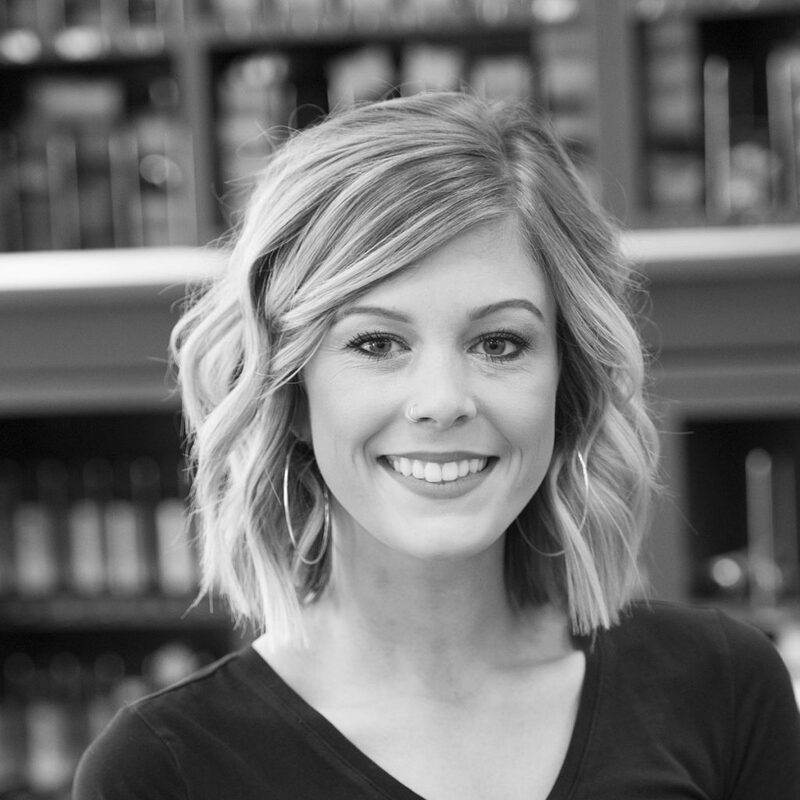 Like with yoga and her painting, Sammi is excited to evolve with the cosmetology industry. She is passionate about learning, growing with her clients and thrilled to be a part of the SAS family. Want to join Sammi at Shannon Aleksandr?